Properties in Glenbervie average 4.6 out of 5 stars. Property 21: Cedar Heights Chalet with Elevated Ocean Views in a Native bush setting. Property 24: Paradise in Pataua, beach front bach with it all ! 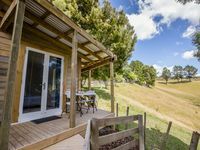 Property 31: Kohinui Holiday Unit, Perfect family retreat. Property 34: Amazingly Waterfront - swim off your front lawn! 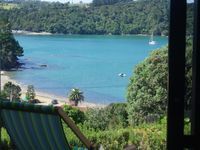 Property 36: Quintessential Kiwi Bach right on the Beach !! Property 49: The classic Kiwi Bach, love the lifestyle ! Property 50: Spectacular Woolleys Bay!